Personal linked notes as a sphere (can be moved around and zoomed in). The notes can be moved around using gaze and a click action then dropped in the right place also with a click. First steps in Aframe, loading a video and curved screens, nothing dynamic though. A basic game styled demo. It represents the basic for a world exploration game, you reach a goal, find items, moved around, etc. The aim is to make Reddit Git Exchange Xmas demo with a Zelda theme with a park in ... Rivierenhof in Antwerp obviously! (note that it might evolve to a map2demo demo, converting a geographic spot to a VR demo). Using BSergean offscreen coffee script to render a basic ThreeJS scene on a headless server. 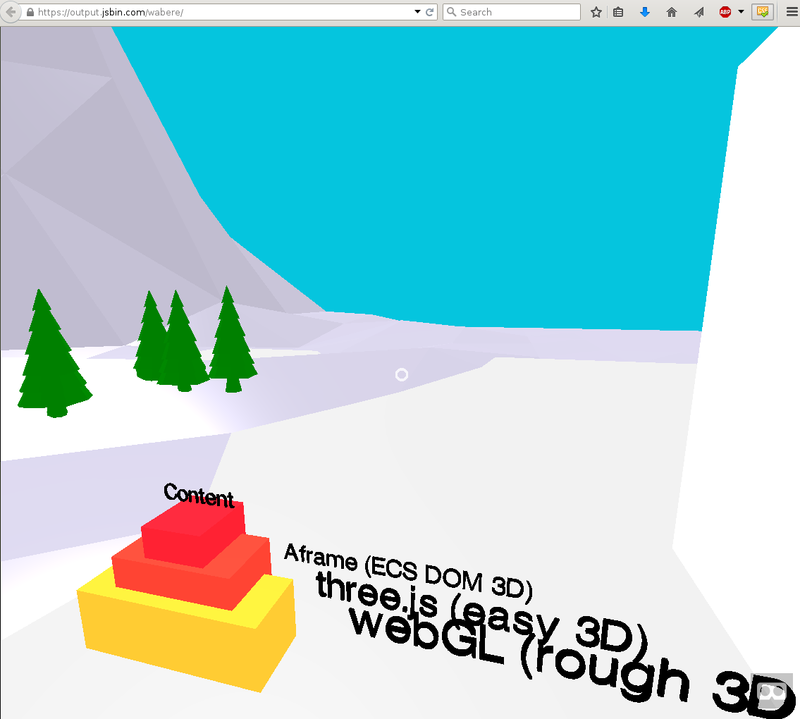 Portal to go to demos direct in VR mode for a specific webVR chrome-based browser. Based on FuturUI. Roller coaster generated from notes frequency. The gigantic mesh is a 3D object I printed few years ago. It is an example of how 3D objects will be integrated alongside notes. The ouroboros I designed few years ago symbolizes constant improvement. Having it with my edits over time implies that with each edit I potentially better myself. Root gallery of my related demos. My 3 lasts demos circle constantly around the user. The one in the centre can be reached with a click.